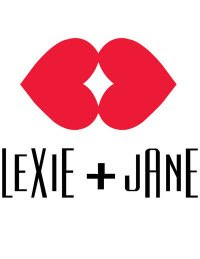 Lexie + Jane, located at 516 E. Paces Ferry Road in Buckhead, has closed. In what can best be described as the most poorly executed store in Buckhead in recent memory, the store didn't even make it 100 days. 26 year old "fashionista" Rebecca McWaters opened the boutique this past April 7th and the store closed earlier this week. While the store's Twitter feed is still up, it has not been updated in a week, their Facebook fan page is gone, their website is down, the phone goes straight to voicemail and their store signage has been painted over. I hate to say it but I just don't feel sorry for would-be business owners who assume that their style will be liked by all, and their store will succeed. To carry unheard of designers in NYC or maybe even San Francisco is one thing, but in Atlanta, like it or not, we know what we like and we like what we know and there is little room for independent boutiques and their "up and coming designers." While I've never owned a boutique, I have worked in both independent and large mall-based chains. The simple fact is that large chains like Urban Outfitters and Bloomingdale's, for instance, have the financing to "experiment" with new designers and take financial risks that smaller, independent boutiques simply should not attempt. Countless times, Atlantans or transplants have tried to recreate or bring a taste of NYC or wherever to Atlanta, and as with Lexie + Jane, (named for Lexington Avenue and Jane Street in NYC): they have not succeeded in this challenging market. DressCodes in Decatur and 1*FIVE*O in West Midtown are two recent examples where what might have been a good idea elsewhere was unappreciated locally. The best / worst example, just a block from where McWaters opened Lexie + Jane, Nikki Salk shuttered her Addiction boutique after under two years in business. While the "blue jean bandits" surely played a part in the decline in sales for many area boutiques last year, parking, or lack thereof, in the case of both Addiction and Lexie + Jane, can be as big of an issue. "Buckhead Betties" love shopping, but the also love the air conditioning and familiarity of Lenox Square and Phipps Plaza. Like it or not, they are not gonna drive their Range Rovers and M5s over to Paces or Pharr or wherever and run the risk of not finding nearby or easily accessible parking. What's your take on Drew Lewis in Midtown? Do you see it surviving for a while longer? It's interesting because I live in the Highlands and boutiques such as Meringue and others have had relatively good success and are still open. Maybe it's more an issue of location, as I have many friends who like buying new and unknown brands. Still too bad to see an independent boutique close. To be honest I'm surprised they have lasted as long as they did. To take over such a large space (Universal Gear at the Metropolis) was a huge undertaking and I don't see them needing all that space. They are the only retailer in the Atlanta area that I know of that carries Jack Spade ready-to-wear which would be good if more people knew what great stuff Jack makes. Overall I like their product assortment but think they are kidding themselves if they think the midtown crowd will keep them in biz. You know OTP'ers and even Buckhead folk aren't gonna schlep over to the Metroplis and mess with that awful deck just to go shopping. In short, I give them no more than a year. The store now displays a sign that reads, "Vetted" - "Unique Items Hand Chosen One By One"
Can someone put an end to this! I'm a resident of Dallas and love your blog because I used to live in Atlanta. It's funny how Dallas, a city that is very much like Atlanta in its layout (requiring the majority of the population to utilize their cars), is much more successful in bringing new fashion lines to the public. The several existing nodes of high-end retail in Dallas far exceed Atlanta in terms of flagship offerings, international boutiques, and local boutiques that carry all the latest in little-known couture. The closures of these boutiques prove that Atlanta is not (and probably will never be) as sophisticated and stylish as the other cities that it shares the top 10 metro population list with. A recent visit to Atlanta included a loop around Lenox Mall on a Saturday and, without trying to make any judgements as to race, NO one was buying Louis Vuitton or Kate Spade and the people that would buy them wouldn't attempt to go to that mall given the crowd I saw. Bakers Shoes and Aeropostale, however, were packed. I also made my first trip to the Mall of Georgia. Can I just say that I'm surprised that Nordstrom and A/X are okay with being neighbors to a tacky urban-clothing store? Is that indicative of the direction of what was otherwise a beautiful mall (with lots of vacancies). I hate to be critical, but clearly Dallas (and even Houston) have a residential retail market that are willing to take more risks than Atlantans. You make some good observations. I will say though, LV at Lenox is actually doing quite well and will be expanding soon to include ready-to-wear , more luggage and and accessories. Kate Spade, I'm not sure about. As much as I'd like to think Atlanta can have their own "Miracle Mile" or Newbury Street like shopping, I don't see it happening. Mall of GA is a nightmare. Sadly, fashion is a foreign language that far OTP and shoppers out there are satisfied with Ed Hardy and True Religion along with Old Navy, Gap, American Eagle and no name urban apparel company that has a new generic, yet still tacky name everywhere it pops up etc. I do just about all of my shopping in and around Lenox and Perimeter. Thanks for reading and great to hear it's still popular in another state! The closures of these boutiques prove that Atlanta is not (and probably will never be) as sophisticated and stylish as the other cities that it shares the top 10 metro population list with. That's the way we like it. We know better than to waste our money on faddish clothing that is out of style in a month and disintegrates with regular wear. You want my advice, go long on spandex and baby strollers in those markets. I think the parking is so critical. I'd be curious how a whole cluster of these kinds of shops would do in a dedicated industrial-conversion strip mall in West Midtown, or at 12 & Midtown if someone were will to hang a big neon arrow on Peachtree pointing to the parking deck's entrance. Atlanta taste is surely, as you say, not as avant-... See Moregarde as in New York or San Francisco, but access is a really critical issue: it's hard to discover things when they're in isolated spots, never mind isolated spots difficult to park at. "...in Atlanta, like it or not, we know what we like and we like what we know and there is little room for independent boutiques and their "up and coming designers."..."